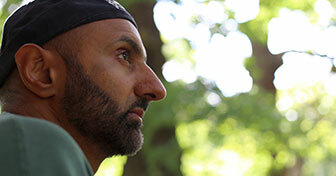 Babar Ahmad spent 8 years in UK prisons fighting extradition to the US on terrorism charges. Having allowed his website to host articles supporting the Taliban, about which he now says he was naive, he was eventually transferred to solitary confinement in the US, before pleading guilty to ‘providing material support to terrorism’. He was released shortly afterwards and returned to the UK. In conversation with Mark Dowd, Babar Ahmad talks about how he came to set up the website in question, and how he managed to mark Ramadan in the most difficult circumstances. Despite physical and mental challenges he looks back positively on the spiritual side of his incarceration.